With an emphasis in residential, coastal and lifestyle properties across the Far North, Golden Gibson combines honest communication and hard work to deliver results. She is motivated by her enthusiasm for people and property and is set to combine her positive energy with the trusted Harcourts Bay of Islands team, where she is working from our Coopers Beach and Kaitaia offices. Born and raised by the San Francisco Bay, she has always had a love for beautiful homes and breathtaking views. In 1998 she came on her first trip to New Zealand where she fell in love with the Far North Region and met her husband Merlin who is a market gardener and professional horticulturist. In 2012, ready for a change, they decided to sell the lifestyle farm and began looking for a coastal paradise. After a long search for their ‘dream’ property they finally found it, nestled in the hills overlooking beautiful Doubtless Bay. They have two children and are active in school and community events. Golden is a Trustee on the Board of Directors for a Registered Charitable Trust and volunteers her time to help others. Before working in Real Estate, Golden worked as the Sales and Marketing Manager for a successful art and signwriting company servicing businesses in the Far North, and before relocating to New Zealand, she trained in Hawaii as a natural foods chef and worked in sales and service at a busy cafe in Kaitaia. Golden also co-authored an award-winning plant-based cookbook, “Incredibly Delicious”. Golden has studied top tier sales techniques and has negotiation skills that bring optimum results. Reaching desired goals, with a win-win for both sellers and buyers, is her top priority. Taking time with her clients to understand their needs is what makes Golden stand out from the crowd in the ever changing real estate market. 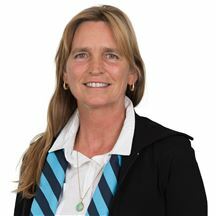 Trish Brown-Birt is one of our original sales consultants in our Kaitaia office. She comes to Harcourts with a mixed bag of corporate business knowledge and community services experience. She has worked tirelessly to help develop the Harcourts brand throughout the Far North Region including South and North Hokianga; Mitimiti; Panguru; Kohukohu; Broadwood; Pawerenga; Mangamuka; Kaitaia; Houhora and upward to Cape Reinga. With a deep passion for the Far North, Trish’s lineage dates back to the first settlers in the Hokianga. Her local knowledge of the surrounding districts provides the best platform to assist with residential and lifestyle property owners and purchasers throughout the region. Trish is also very supportive of her local community as a business owner/operator and is active in organising events such as ‘fishing and hunting competitions’, a keen sponsor and fundraiser for Kohukohu Youth Group (KYG), Okaihau College and Fishing and Hunting Club. A natural in public relations and customer service bringing buyers and sellers together is part of Trish’s skillset. Trish now focuses on her main goal to provide hands on assistance to those buyers and sellers throughout the far north region. If you’re in the market to sell or buy then give her a call on +64 21 993 755 or email at trish.brown-birt@harcourtsboi.co.nz anytime.